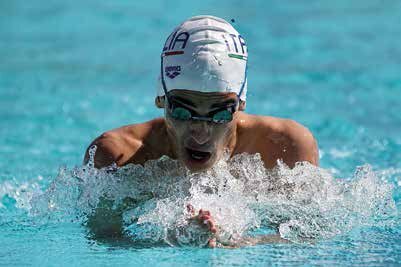 Straight competitive swimming presents few technical problems for photography other than ensuring lenses are acclimatised before they are used to relieve condensation and a need to get as close to the water surface as the officials will allow. The light problems associated with many UK domestic settings are not an issue in sunny Malta, as Domenic shows! 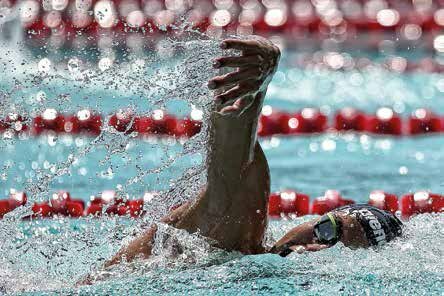 There are particularly strict regulations in regard to photographing children swimming so you should familiarise yourself with the requirements before you go ahead.